As 2013 drew to a close, it was obvious to everyone connected with Bradford City that Nahki Wells was on the verge of leaving the club – and so it transpired. In terms of a fee, £2 million was talked of as the starting price. Some said £2.5 million and others even predicted that £3 million would be coming our way when he left. Unfortunately the club were manoeuvred into a position where the player said he would only leave to join one other club – Huddersfield. This assertion effectively gave the Terriers’ control over the fee they would pay. We didn’t receive £3 million, we didn’t even get £2 million. The deal has never actually been revealed, but an up-front fee of £1.3 million is the widely accepted figure. A big chunk of the fee was used to balance the budget, so Phil Parkinson wasn’t left with a huge amount to bring in a replacement. In the end, two possibilities appeared to be left on the table: paying a fee for a young lad from the 4th tier who had been making a name for himself (at Rochdale if I remember rightly) or a 31-year-old Aaron Mclean. He was out of favour at Hull, wouldn’t command a fee but would require (for City) high wages. Now here I have to admit an interest. I adhere to the old football adage that a good young ‘un was better than a good old ‘un up front. Added to this, I had trouble recalling any strikers who had hit a purple patch past age 31. The manager went for Mclean. That was his right; he was the man at the sharp end who knew infinitely more about what he was doing than I did. And anyway I was, and still am, a fervent supporter of Phil Parkinson. Yet City’s form continued to suffer badly post Wells. The new striker bagged only four goals from 20 appearances. Patience was the order of the day – quite rightly. We all fervently hoped for better things from Mclean in 2014/15. So far, the signs are far from promising that the lad will step up and be our one in two goal man to compliment James Hanson’s ever reliable one in three. I know that it’s early days, but I for one am already worried that a lack of goals over the season might cost us a place in the play offs. We have no money left in the kitty to bring a front player in permanently, and we have no youngster on the books who looks realistically likely to step up and score us 20 goals. So, if we’re still going to go for it this season, we have two possibilities. By an amazing fluke, we can find someone for free that no one else has spotted – highly unlikely! Alternatively, there is the loan market. Now remember this: a Swindon striker, previously on loan from Tottenham, scored two goals against us at Valley Parade – and an Arsenal loanee at MK Dons did the same in the League Cup. Now I appreciate that London’s premiership youngsters fear the lands north of Watford, but we have top notch premier clubs “up north” as well. Two in Manchester and two in Liverpool immediately come to mind. If they want to loan out any of their young strikers to gain experience, then isn’t the best destination a “big club” at this level? I seem to remember someone saying that, at this level Bradford City are a big club! Whatever happens – and although it’s still early days – the season already shows signs that it might begin to drift away from us. If we’re to avoid that happening and make this a really successful campaign, we have to do something sooner rather than later. Otherwise we’ll be marking time this season – looking at a mid-table finish again, and another nearly-season will have come and gone. If you like what Width of a Post do, please vote for us in the Football Blogging Awards. 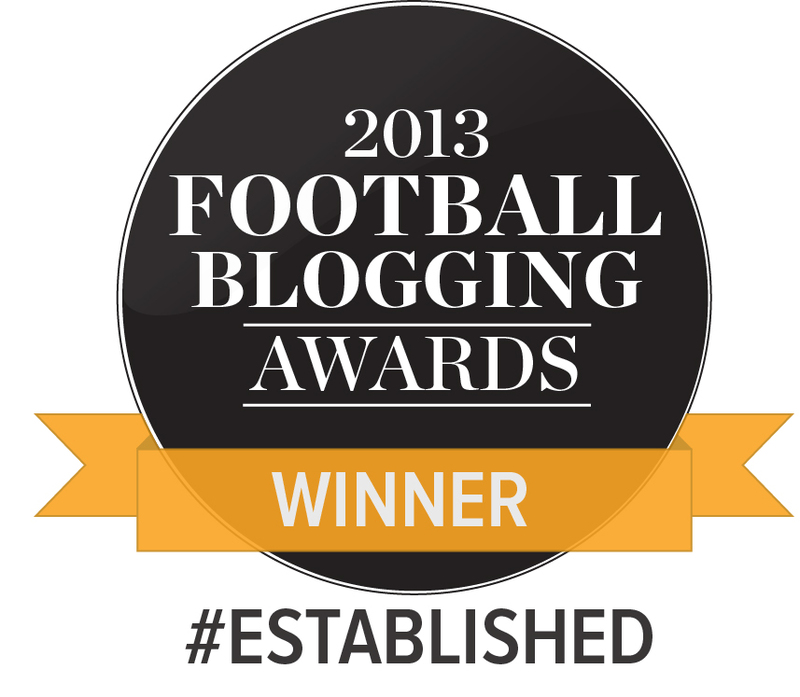 We have been shortlisted for ‘Best Established Blog‘ and ‘Best Football Club Blog’. WOAP Deputy editor Katie Whyatt has also been shortlisted for ‘Best Female Blog’. Our chances this season are not very bright but not very dim either. Our main 2 strikers are James Hanson and Aaron McLean. James guaranteed will get between 10-15 goals but McLean who is our expensive replacement for the goal machine Nakhi Wells hasnt set the world alight yet. When he came he struggled mainly because he was unfit and secondly because of the system we played (long ball). He didnt score for the first 3 months he was here and ended the season with 4 goals from 20 appearances. He needed a good pre-season but he has been injured for all of it and is now 5 weeks behind everyone else at the club which is why we are not starting him Saturday and he’ll be lucky to make the bench. We have brought in Billy Clarke who is a very good footballer and will score goals but he isnt a natural no.10 to go alongside James Hanson. We have been playing more football in pre-season rather than long ball (mainly to set our team up around McLean) and it seems our new formation will be the diamond. We have brought in some quality midfield players who can play at various roles so for me I would prefer the German formation of playing as they dont have many great strikers and most of their goals come from midfield where they interchange mainly Muller on the right side (By the way im not comparing us to Germany or any German players I just think that formation would be ideal). That formation would suit us down to the ground as we dont have any natural wingers anymore which is a slight concern if we need to change things round a bit. We seem to have a lack of real pace in the side too and we need another goal scorer to go alongside Hanson because we cant hope our youngsters can fill that role yet been only 17 or 18. We will be hard to breakdown this season as long as Andrew Davies keeps fit so its not all doom and gloom and I can see us winning games 1-0 or 2-1 this season. I believe Ched Evans is available!? Funnily enough I seem to recall another morally ambiguous signing, Lee Hughes, regularly scoring against us on a regular basis! – the opposition defence can push higher up the pitch, making James Hanson less effective and helping to dominate the midfield like Barnsley did. Unfortunately I’ve come to the conclusion that McLean is not only not part of the solution but actually part of the problem. McBurnie is struggling but I think his mobility would give more to the team even if he can’t score.